Startups disrupt industries, markets and the traditional way of doing things. They need early adopters to take a leap of faith and try out their products and services. A huge part of building a startup is communicating a founder’s vision and ideas to customers, investors and partners. Which is where the skill and practice of pitching comes in. 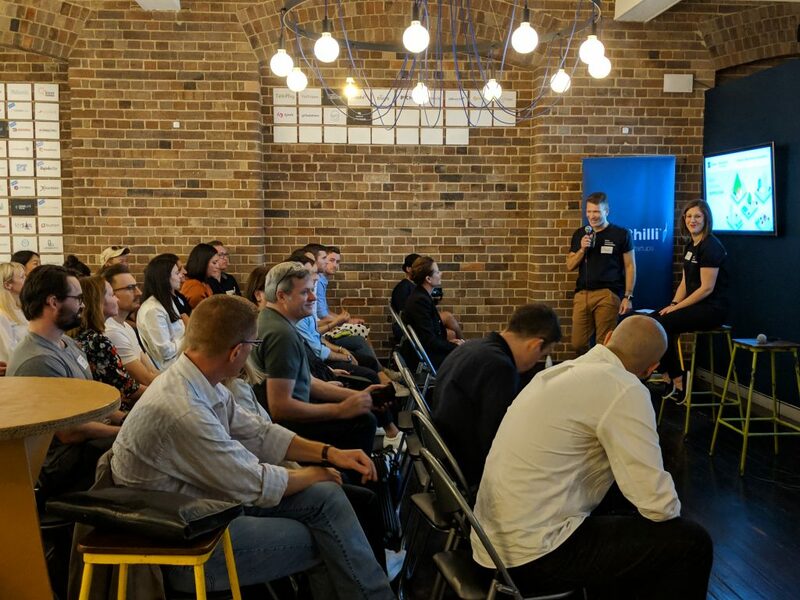 Next week, the 60 founders from 40 startups in the Stockland Accelerator Bootcamp will be pitching in front of judges with the aim of securing a place in the accelerator program. 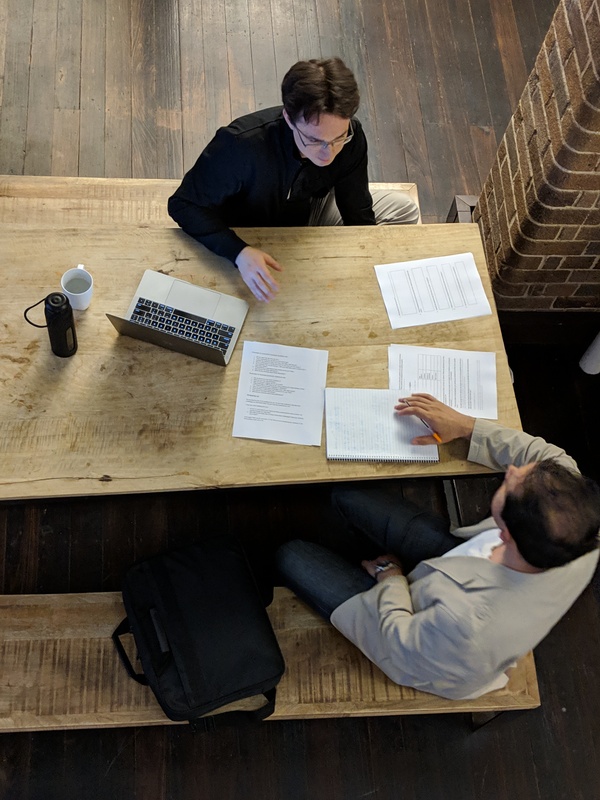 An early-stage founder from the Stockland Bootcamp speaking with BlueChilli’s Head of Product, Benjamin Wirtz. Weeks, months and sometimes even years of work are distilled into those three minutes. Megan Flamer, Xcelerate Program Director, recently led a masterclass, How to Pitch Perfectly, focusing on communicating a founder’s ideas while pitching. 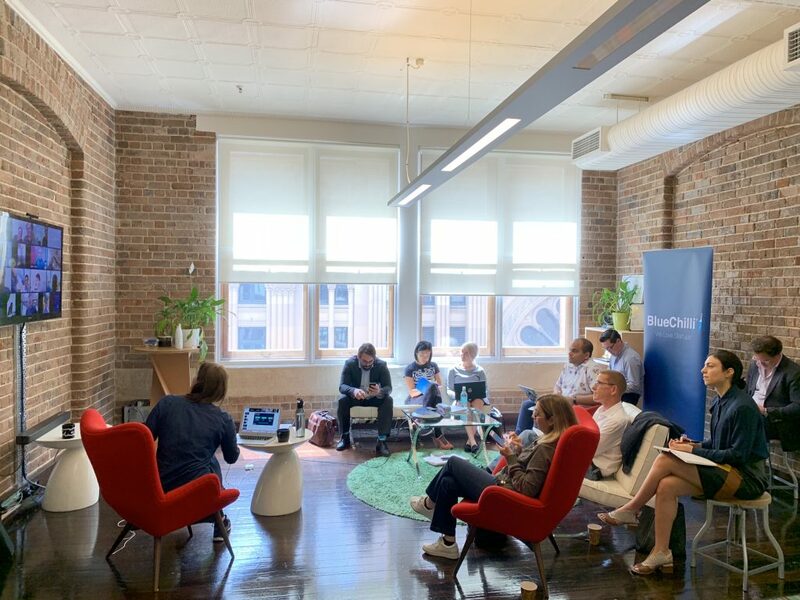 With Stockland Bootcamp founders in-person at the Sydney offices and some dialing-in online, Megan shared the best tips and tricks about the structure and essential content to include in their pitches. Pitching is not easy and can be very intimating! Some of the tips below are taken from BlueChilli’s free online course, StartupU, which takes founders through a clear structure to create a pitch deck, as well as a step-by-step guide for testing your idea. First off, make your pitch understandable, memorable and repeatable. Your pitch can be a very effective word of mouth advertising tool if done well so make it super simple for all audiences to understand and repeat on your behalf! Program Director, Matthew Werner welcoming the founders at the Stockland Bootcamp. Another important piece advice Megan shared which we use at BlueChilli is the 30-3-30 model to pitching. You have 30 seconds to hook investors’ attention, which then leads them to spend another three minutes understanding the opportunity. Finally, that three minute pitch will hopefully lead to a 30 minute meeting to discuss a founder’s startup in more detail. Keep it simple. Sell the part that is accessible to people. Do the work. Talk to customers, validate your idea and show that you’ve done it. End the pitch with a call to action. Keep in mind your tone, movement and body language. Flow from the heart and share your excitement! The Stockland Accelerator Bootcamp founders are working hard interviewing customers, refining their presentations, practising their pitches over and over, and will all be coming back to BlueChilli ready to impress next week! We’re really looking forward to hearing their pitches next week and know it will be difficult to come to the conclusion of who should enter the program! Megan Flamer leading a masterclass: How to Pitch Perfectly. Want to know who gets into the Stockland Accelerator? Sign up to get our email news or follow us on Twitter. Want to learn more about how to create your best startup pitch? StartupU is our free online course which gives you a clear structure for startup pitches.